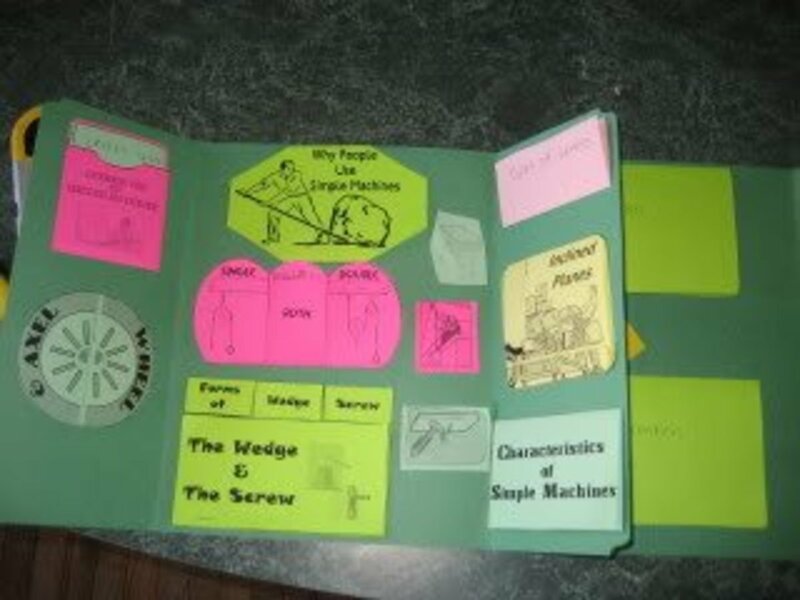 This is part 3 of a 5 part hands-on unit on Inventions and Simple Machines. Build and test waterwheels, use cylinders to make wheel cookies, experiment with matchbox cars to demonstrate friction, compare the mechanical advantage of an adult and a children's bicycle, and more! My lessons are geared toward 3rd-4th grade level children and their siblings. These are lessons I created to do with a weekly homeschool co-op. We meet each week for 2 1/2 hours and have 17 children between the ages of 1-13. Use these fun lessons with your classroom, family, after school program, or co-op! 1. Stretch. Pray. Discuss resourcefulness. Review work, inclined planes, wedges, screws, and levers. 2. Read & discuss Ezekiel 1:1-21. Some people say that humans invented the first wheels, but what does it sound like the Cherubim described in this passage have? (wheels - possibly gears). How did the Cherubim use the wheels/gears? (They helped them move.) How does this passage make you think about God's holiness and awesomeness? 3. Read "Tires, Spokes, and Sprockets" by Michael Dahl or "Wheels and Axles to the Rescue." This is what we read. 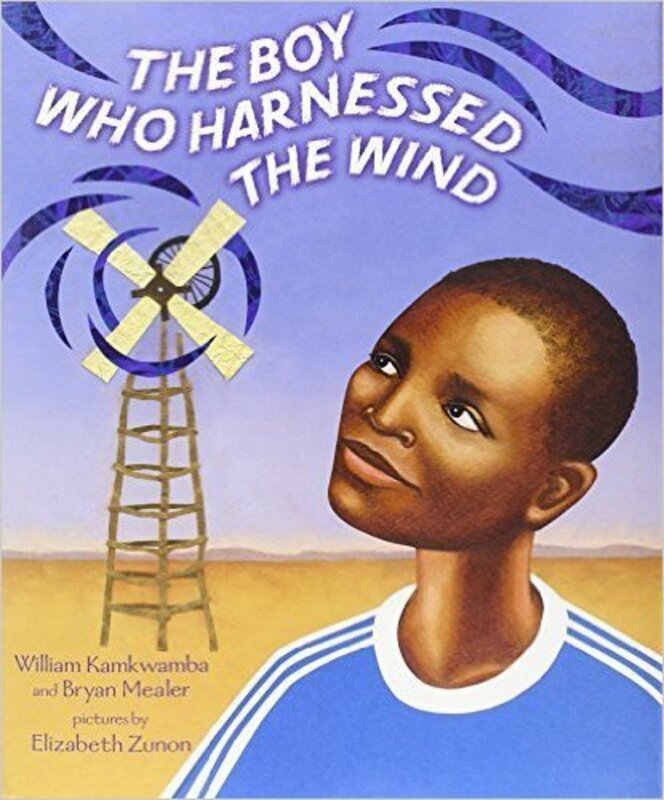 It has great illustrations and text that is simple enough to understand but is also sufficiently educational. This was our favorite book on the subject that had photographs rather than illustrations. 4. Why is it better to roll things than to push or pull them? Divide children into 5 groups. -Let each child push a brick/rock or across the floor. Was that really easy? -Now have moms give their children their pencils. 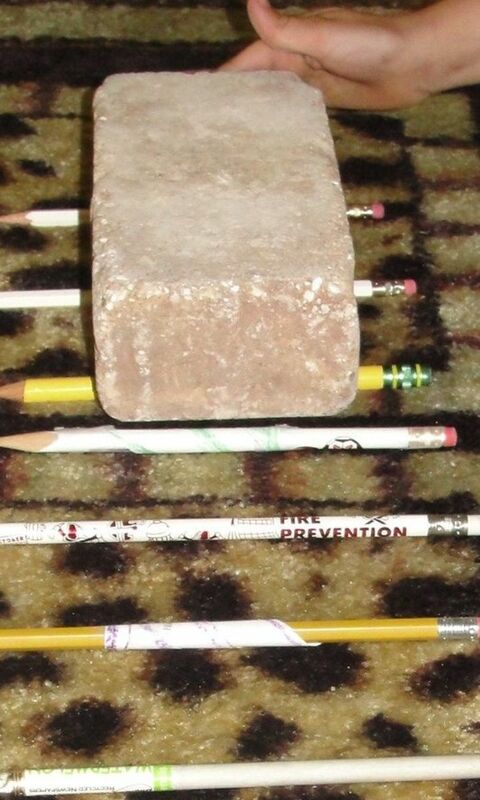 Ask, “How could you move the brick more easily?” Give them a minute to test out their own ideas. DO NOT make suggestions, and tell the helping moms to not make suggestions! -If children have not yet figured it out, suggest to them to put the pencils under the brick and roll it across the pencils. Contrast the amount of work and force needed. -Show a picture of Stonehenge. Tell the children that this was set up in a place that did not have those rocks just lying around nearby. Ask the children if they have ideas on how they think the people who built Stonehenge may have moved the rocks. Some archeologists believe that Stonehenge may have been made using logs to roll the heavy stones. -Ask the children why they think it was so difficult to move the bricks/rocks across the floor. -Tell them that it is because of friction. (Have them repeat the word, “friction.”) Ask if anyone knows what friction is. Friction is a force. What is a force? (A push or pull). It is a force that slows down objects when they rub against each other. 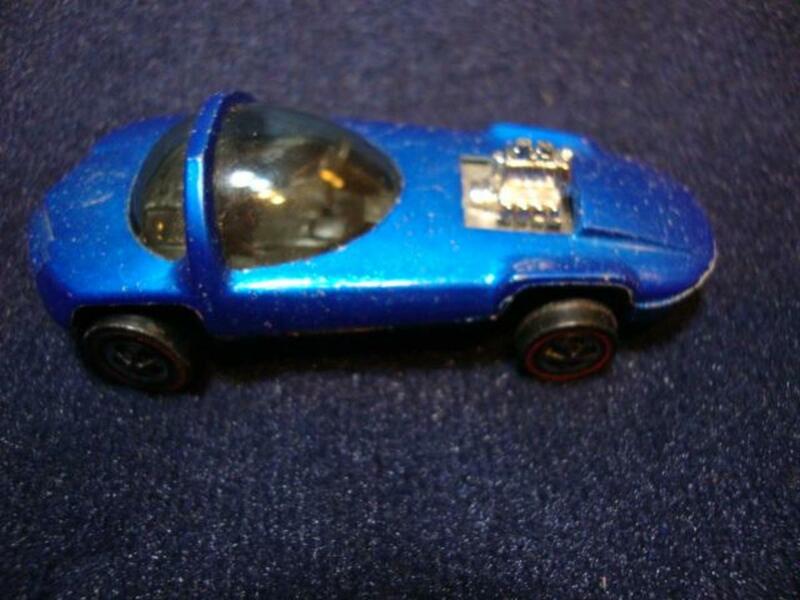 -Give each child a matchbox car. Have them flip it over (so the wheels are up) and push it across the rug. Did it move far? Why not? -Ask, “How can we reduce the friction?” Have them reduce the friction by turning the car over onto its wheels. Try pushing the car across the rug. Did it go farther? Why? Instead of the entire car rubbing against the carpet, now only the wheels touch it. 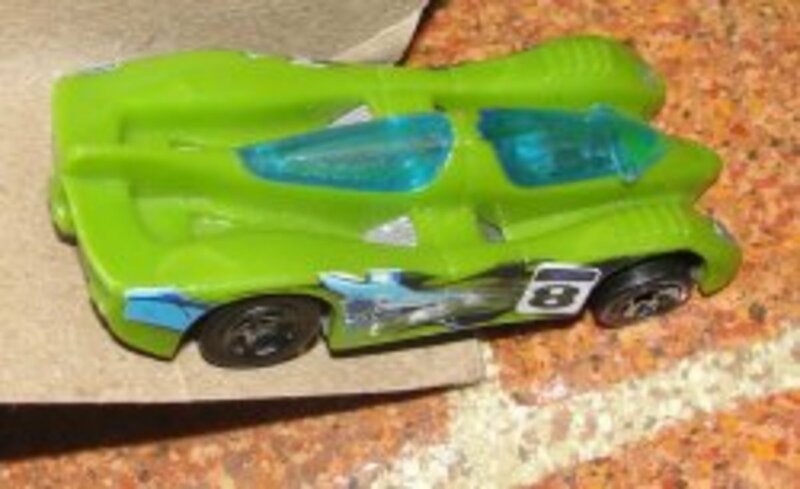 -Ask, “How could we reduce the friction even more and make the go even further?” Let the children push the cars on the laminate flooring. What can you conclude about the relationship between friction, force, and wheels? -Divide children into 3 teams based on which tables they are sitting at (left set of tables, right side of tables, and back tables). Set up 3 targets at the end of the tables. Have the children line up behind two tables (set up the long way). They should each get a chance to ROLL 3 balls at the targets in order to try to knock them down. -Have everyone sit back down. How many of you were able to knock down all 3 targets? It wasn't easy to aim your balls accurately so they could knock over the targets, was it? Why not? Which do you think would be easier to control: a ball or a wheel? Balls roll in all different directions and aren't as easy to control. Notice how little control they offer when you're trying to push them to one spot. 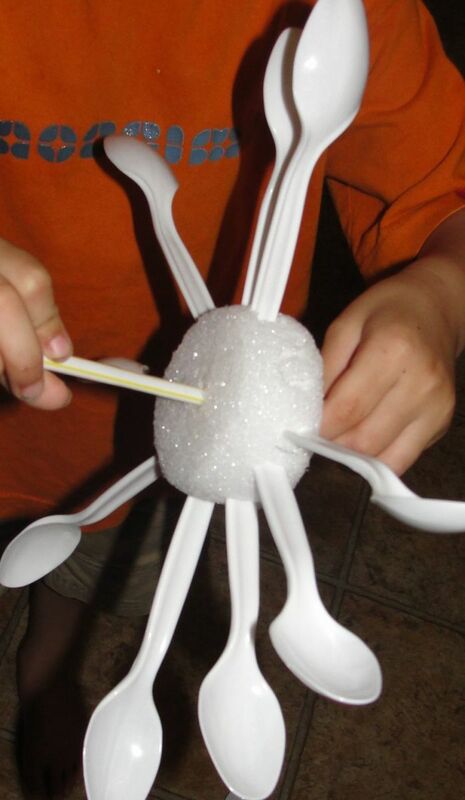 -Use a knife to cut off the sides of the Styrofoam ball. Ask, “What shape do I have now?” Yes, there is a wheel in the center of every ball. -Ask, “Do you think I would be able to easily aim this and push it down the table? Why not? What could I add to make it easier?” Another wheel! 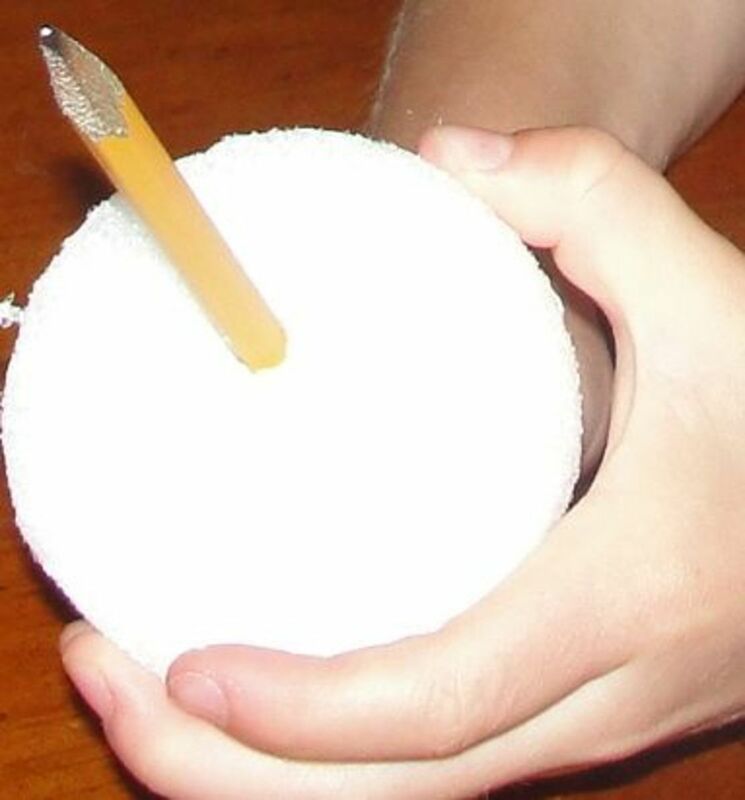 Pull out the other Styrofoam ball circle and stab the other side of the pencil through it. Roll it down the table. 7. Tell the children to get their 3 cardboard wheels. Have them draw a mark on the outer edge of each wheel. -Tell them to get the smallest circle. Starting at the mark, measure the distance that the wheel covers in one rotation. Lay it down there. Get the medium circle and do the same thing. Repeat with the largest circle. -Based on what you just did, can you invent a wheel device that could measure the length of a baseball or football field? Hint: Think of a pizza cutter. Pass out a brad and a straw to each child. Let the children try to figure it out! 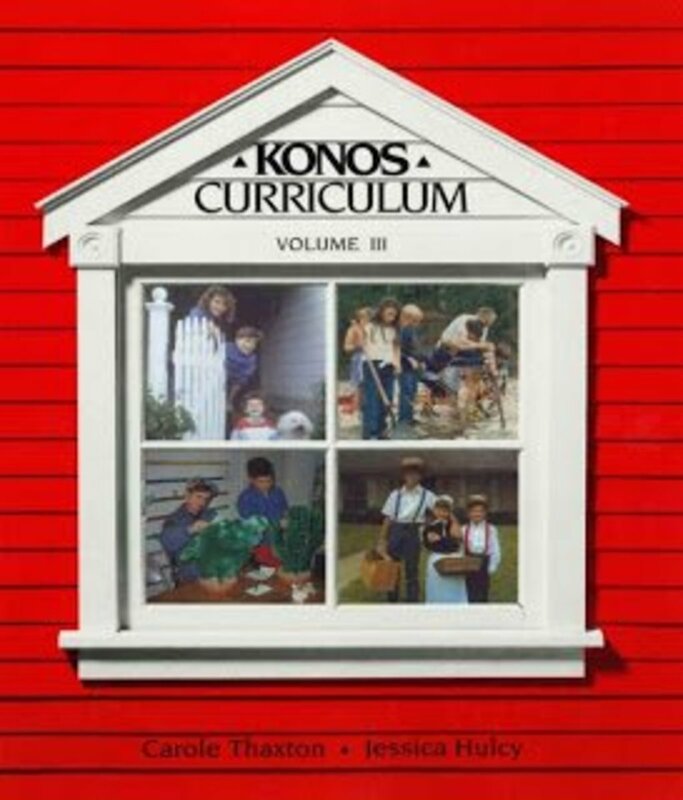 -For children who need guidance, assist them in pushing the brad through the straw and hole in the circle. -We are going to make wheel and spoke cookies. Point to the bicycle tire. Tell the children that the outside is the wheel. What are these thin rods called? They are the spokes. They radiate from the center of the wheel. Who knows what the center of a wheel is called? A hub. That’s where the axle connects. Each of the spokes of a wheel is really a lever. 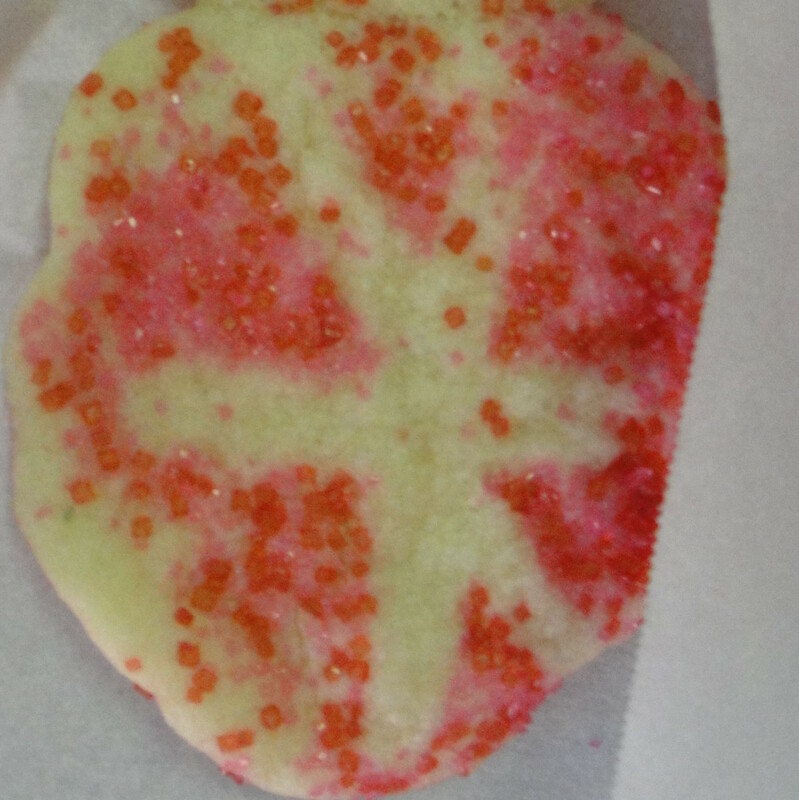 -One way to decorate cookies is to make a stencil and decorate around it. We are going to make spoke stencils using your 4” diameter circle. You’ll need your scissors. Fold your circle in half. Leave the folded parts alone. Cut out 2 or 3 triangle wedges with the thin part toward the folded part. Open it open. Does it look like the spokes on a wheel? Shape it until it does. (Parents will need to help younger children.) Set these aside. -Give each child their cookie dough on the parchment paper. If you wanted to flatten these out, what could you do? Yes, you could use your hands. Try to flatter each cookie ONE time. 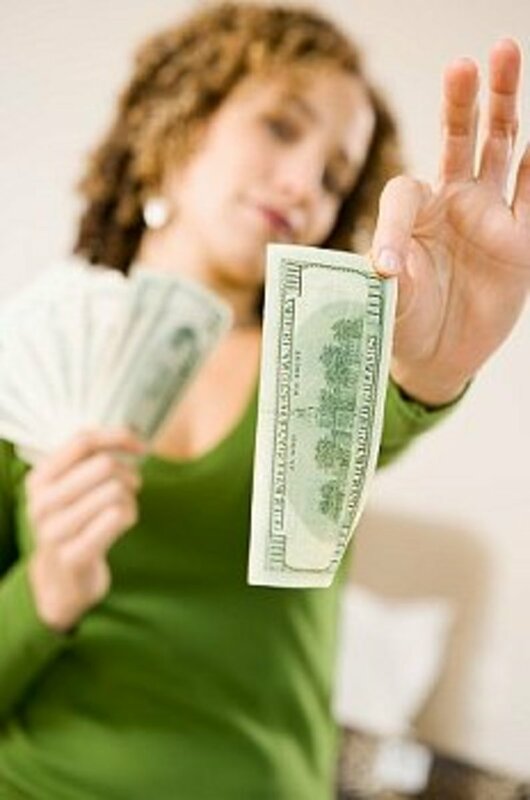 What could you use to make it go more smoothly? Use your rolling pin/wheel and axle! Let them use the rolling pins to roll out the dough. Roll across the dough ONE time. Did that do a better job than just your hand. -Have children lay out their spoke stencil and then sprinkle or shake colored sugar crystals over it. Remove the spoke stencil before baking. -Bake according to package/recipe directions. Is It Easier to Pedal a Kid's or Adult's Bike? 9. (Optional) Speaking of bikes, do you think it’s easier to ride a child’s bike or an adult bike? Calculate the mechanical advantage of a wheel (i.e how helpful it is to us): MA= radius of wheel/radius of axle. Discuss what a radius is and how to measure it on a circle. Point out the wheel and the axle on a bicycle. Divide children into 2 groups and assign each group a bike. Have each group measure their BACK wheel and axle. 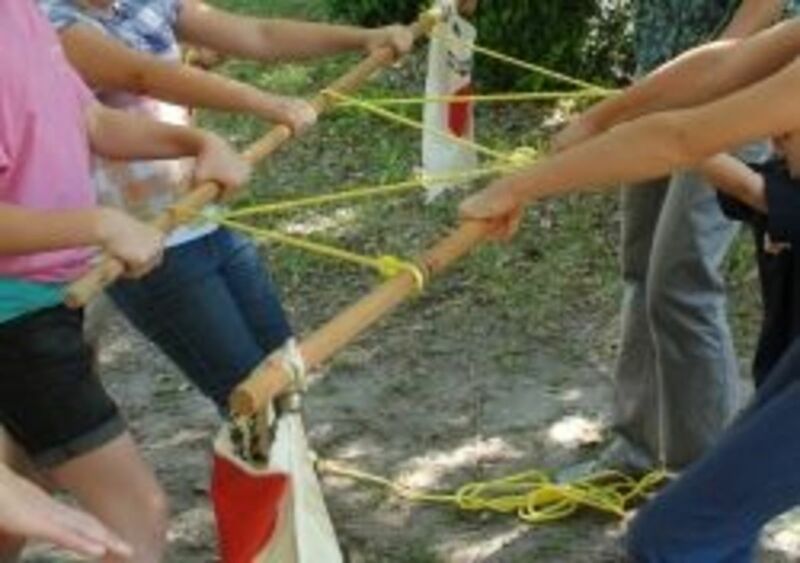 Work together as a group to calculate the mechanical advantage of each wheel. Which wheel has the greatest MA? Mention that the size of the axle shows how far you have to pedal to travel the distance of 1 rotation of the tire. 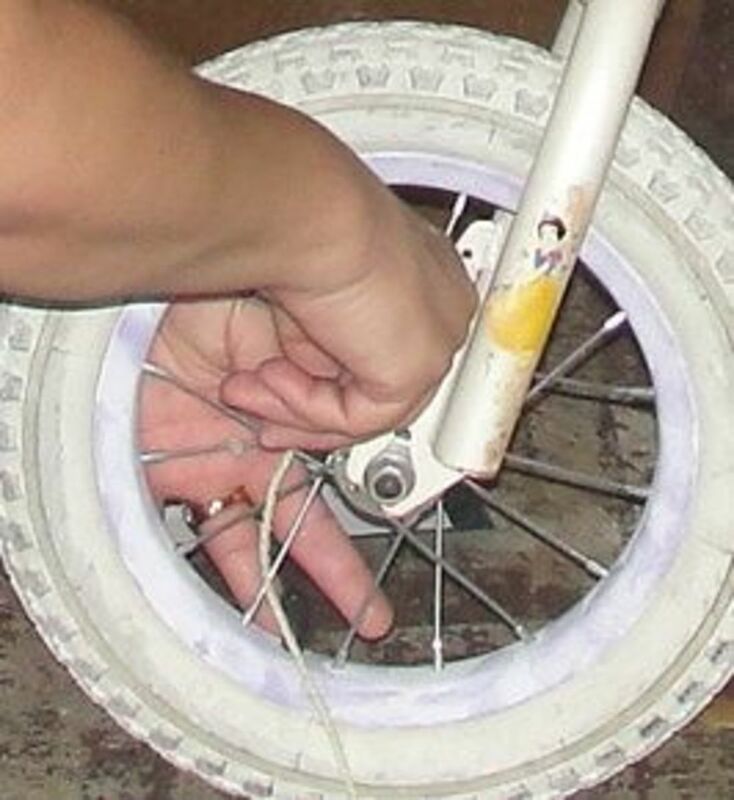 If both bicycles had the same size axle, the adult bicycle will have a greater MA because its tire (the wheel) is larger. 10. Get the 2L bottles. Divide children into groups of 3 so that each group has a bottle. Have each child hold the bottle with the strings hanging down. One should be attached to the large part of the bottle, the other to the thin part of the bottle. Tell the children that they are going to turn their bottles so that the strings will wrap around their bottles. Ask them to hypothesize on which string will wrap around the bottle first, or will they both wrap around it the same amount? - Have the oldest child in each group go first. Have them race to turn their bottles to raise both strings. Which string wrapped around the bottle first? Was your hypothesis correct? -Unwrap the strings. Have the second group of children (the middle aged child in the groups) do the same thing. Then have the youngest child in each group race to wrap up the string. -Because a wheel is larger than the axle, it always moves through a greater distance than the axle. Such a situation multiplies the force applied to the axle. You do have to move the effort over a greater distance, though. 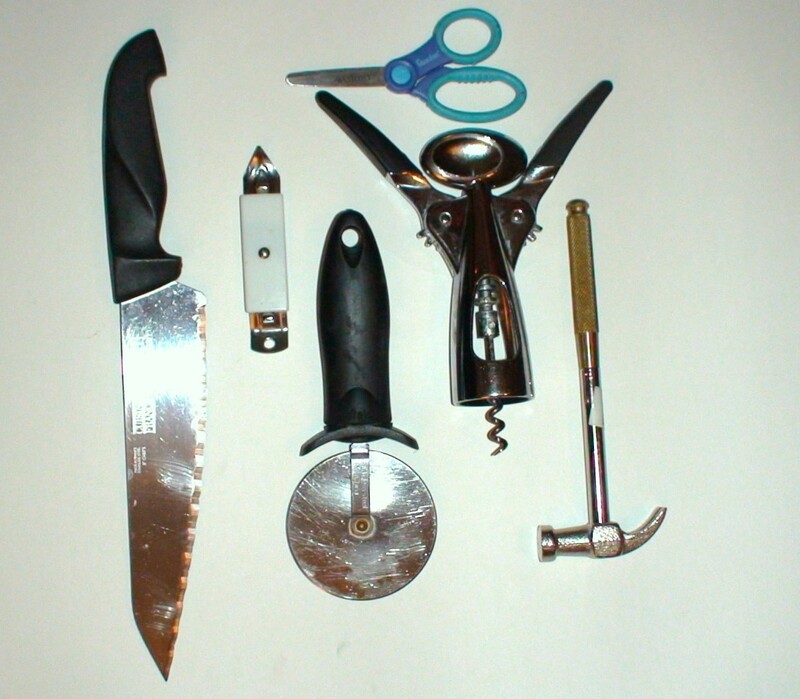 Steering wheels and screwdrivers are common examples. 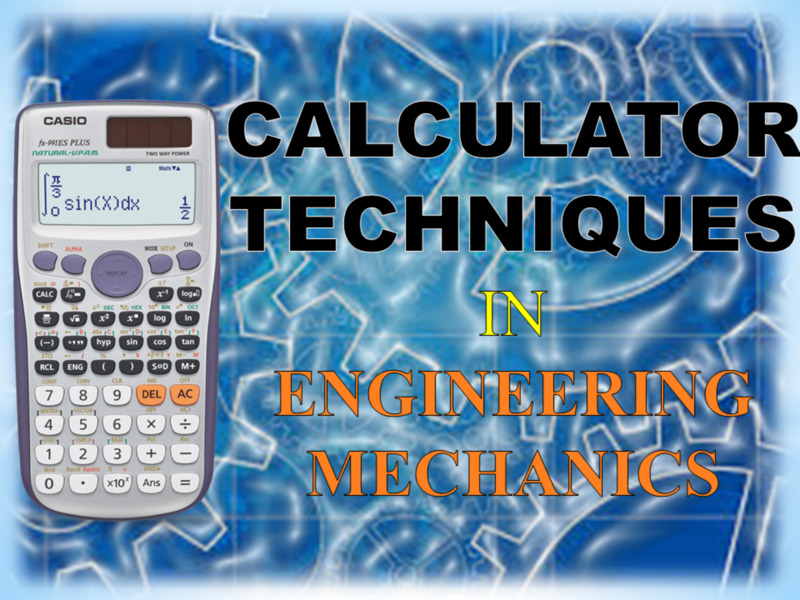 -Changing the diameter of either the wheel or the axle controls the mechanical advantage - the amount of help that using a simple machine provides - of a wheel and axle system. As the diameter of the wheel increases (and the axle stays the same), the mechanical advantage increases and a greater force is applied to the axle. YOU WILL NEED: 2L soda bottles brought by families: a 2-liter bottle with one string tied around the thin part at the top and one string tied around the large part of the bottle. Try to have the strings each hang down 24 inches from the bottle. Attach a washer, bolt, or other item to the bottom of each string so that they hang down. 11. (Prep: During class/co-op have the parents tape the plates back to back.) Show a picture of a watermill. For centuries different kinds of energy have been used to power the wheel. Who can name some? (water, wind, animals, electricity). Show children a few examples of water wheels. -Each child will need 4 Styrofoam plates, 9 small plastic disposable bathroom cups, 1 straw, 1 pencil, & 25 inches of masking tape. -Give each child the 2 plates that have been taped together back-to-back. 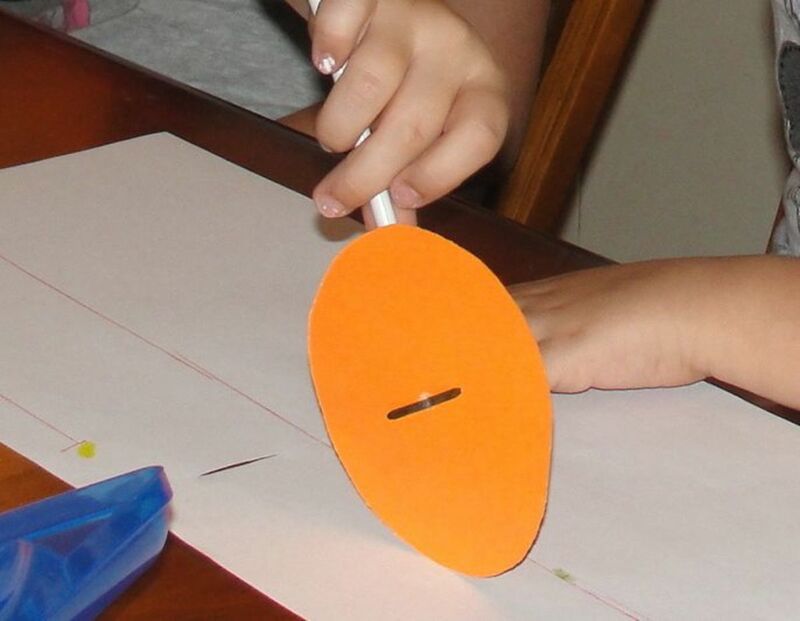 Find the center of the plate-wheel by balancing it on the eraser end of a pencil. Punch through the 2 plates with the pencil tip. Repeat with the other plates. Tear off a strip of masking tape 25 inches long. Stick the cups to the tape as shown on the webpage. Wrap the strip of cups around one of the wheels, adjusting cups as necessary, and fasten. 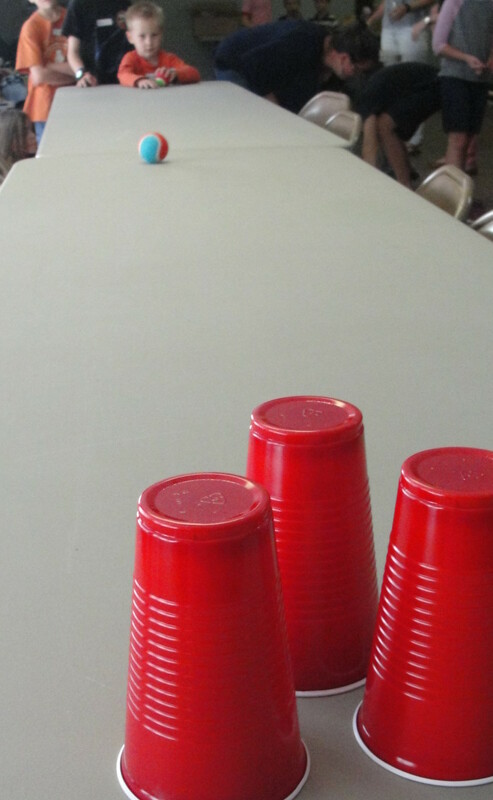 Use a short piece of tape to secure each cup. Tape the two sets of plates together. Slide the straw through the hole of your waterwheel. This is your axle. -Tell them that at home if they would like to lift an object with their water wheel, they can tape one end of a piece of string onto the empty plate and wind it up. You’ll want enough string to pull up an object from the floor. -Divide children into 3 groups to test their water wheels. The youngest children can test them in the 2 sinks in the kitchen. The oldest children can go out the door to the breezeway and use the outdoor faucet. - There are 3 kinds of waterwheels - an undershot (water goes in a straight line below wheel), overshot (water goes above wheel), and breast (water goes at an angle at the bottom of the wheel). Which is most efficient? Why? -Tell me about the circumference of a circle. We all fall down == times the radius. How can you calculate the MA (radius of wheel/radius of axle) Which type of bike has a greater MA, meaning which is easier to ride? (adult - As the diameter of the wheel increases (and the axle stays the same), the mechanical advantage increases and a greater force is applied to the axle.) What was your favorite activity from today? 14. Discuss end of unit presentation topics. 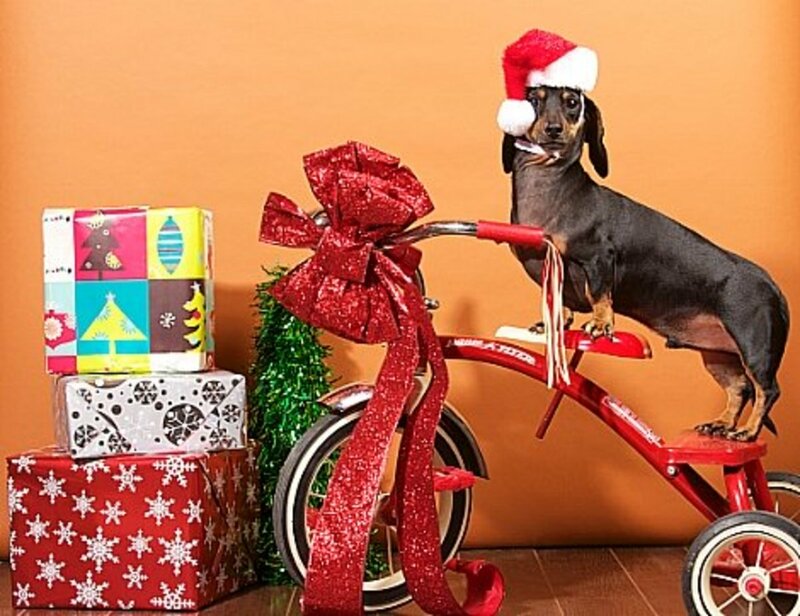 Joke: Why do bicycles fall over? -3 cardboard/cardstock/cereal box circles: one that has a 2" diameter (approximately), one that has a 4" diameter (approximately), & one that has a 6" diameter (approximately) – *Use a sharp object such as a compass, sharpened pencil, or nail to stab a hole in the middle of the 6” one as we will be poking a brad through it. 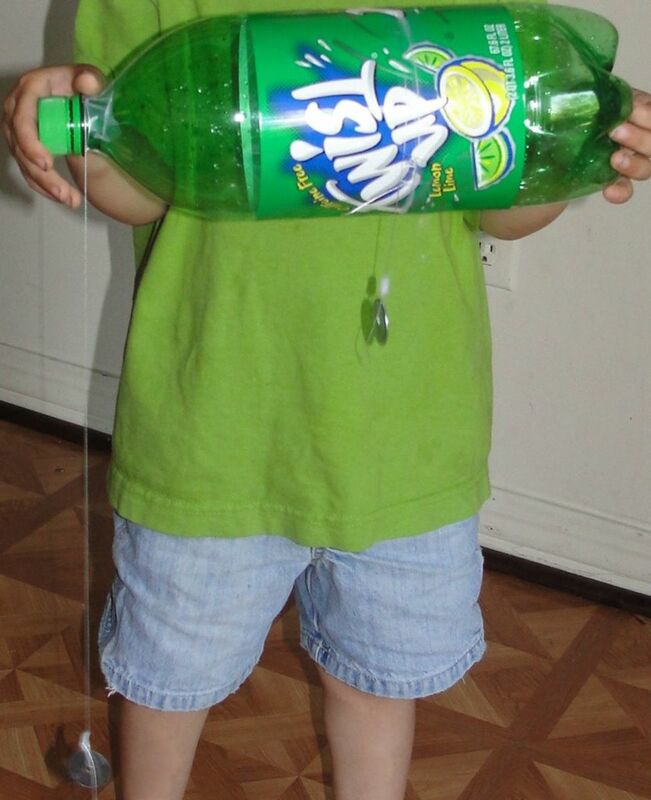 -1 per family: a 2-liter bottle with one string tied around the thin part at the top and one string tied around the large part of the bottle. Try to have the strings each hang down 24 inches from the bottle. Attach a washer, bolt, or other item to the bottom of each string so that they hang down. Looking for More Great Books on Wheels and Axles? 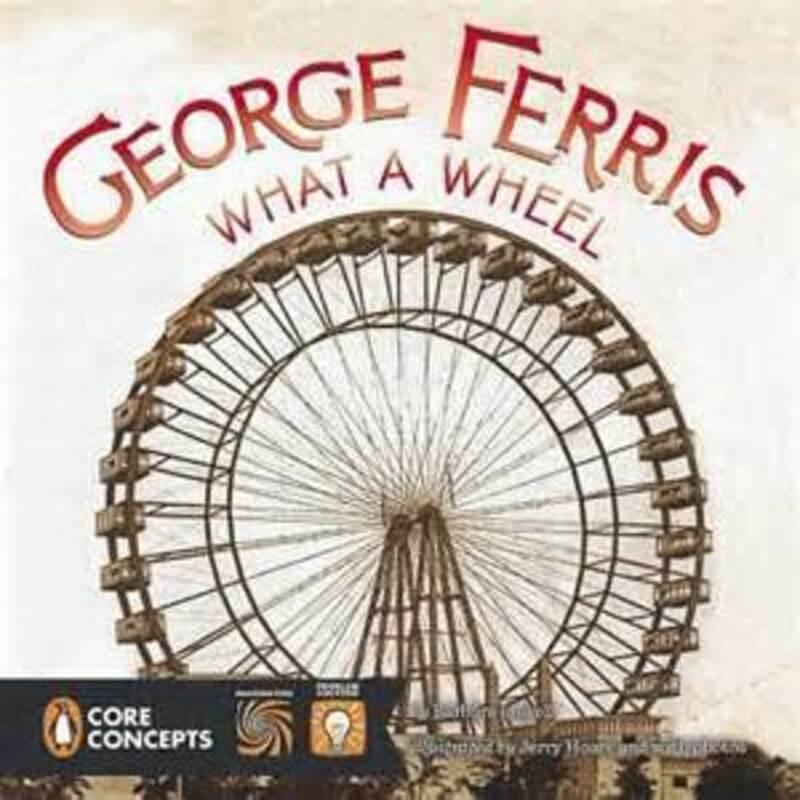 This is a fun true story about the man who invented the Ferris Wheel. My 5 and 8 year old boys enjoyed reading this -- especially since we just had our county fair which, of course, has a ferris wheel. After we read the book, my boys designed their own ferris wheels. 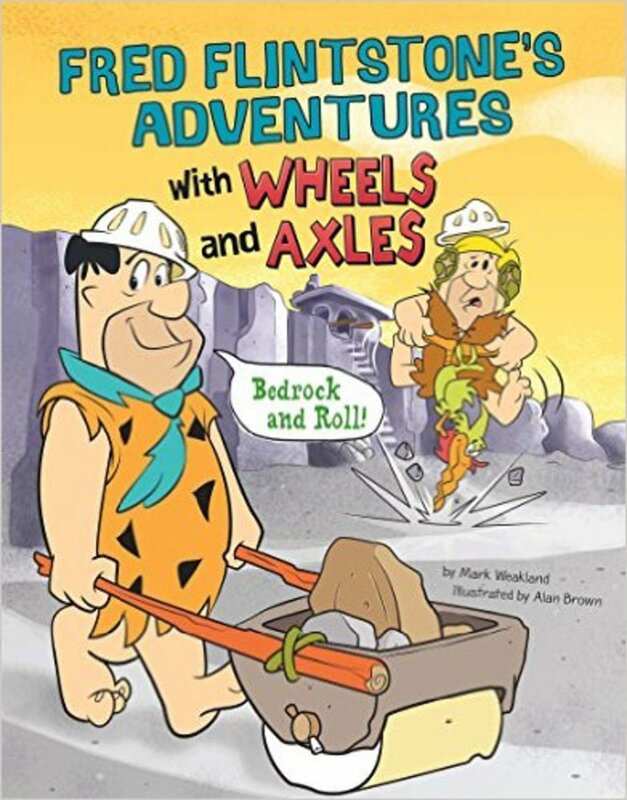 Fred Flintstone's Adventures with Wheels and Axles (Flintstones Explain Simple Machines) by Mark Weakland and Alan Brown is a cute picture book that is part of a series that includes the Flintstones using simple machines.The Boy Who Harnessed the Wind: Picture Book Edition by William Kamkwamba and Bryan Mealer is a neat true story about an impoverished boy from Malawi who tinkers with trash (including bicycle wheels) to create a wind-powered generator to provide electricity for the farmers and to pump water for the crops. 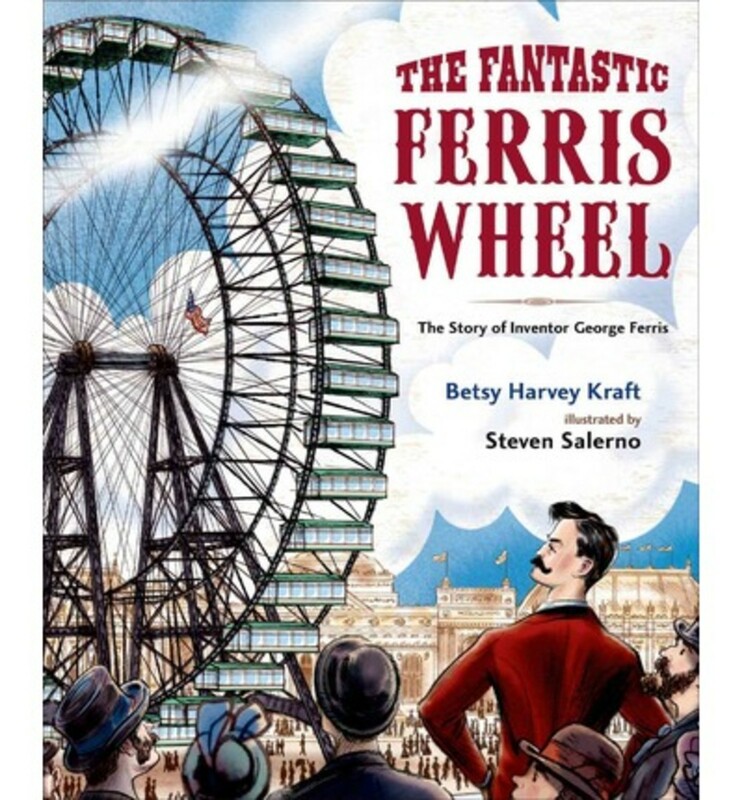 The Fantastic Ferris Wheel: The Story of Inventor George Ferris by Betsy Harvey Kraft and George Ferris, What a Wheel! (Penguin Core Concepts) by Barbara Lowell are both great picture books about the Ferris Wheel. 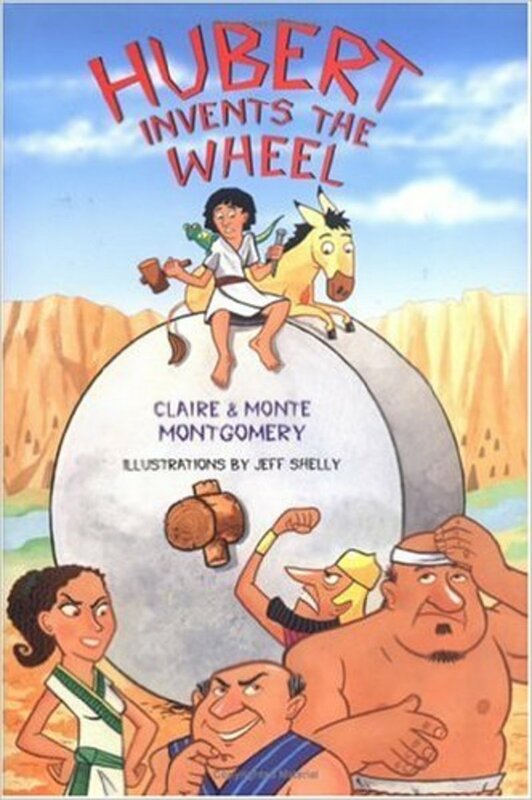 Hubert Invents the Wheel by Claire Montgomery is a 192 page chapter book is a fun fictional account of Hubert, a boy inventor in Ancient Sumeria. He invents the wheel and then the Assyrians try to use it against them in battle. It has a nice balance of silliness and educational information as Hubert works to discover an invention that will reduce friction. My 8 year old LOVES these kits; plus, they make great homework for this week's lesson on wheels! The kit helps your child learn how wheels use friction to move objects easily, how turning wheels can help move around corners, and how big wheels compare to small wheels. It has 5 models to build (a tractor, motorcycle, door, car with steering wheels, and car lift). It also includes a booklet that explains the physics theories behind how each model works. My children love their K'NEX sets! If you don't get the Engino set featured about, this K'NEX kit would be another great option for "homework" for this week's lesson on wheels; plus, it includes sets to build when you study incline planes as well! This set includes 7 functioning (moving) wheel & axle and inclined plane models. 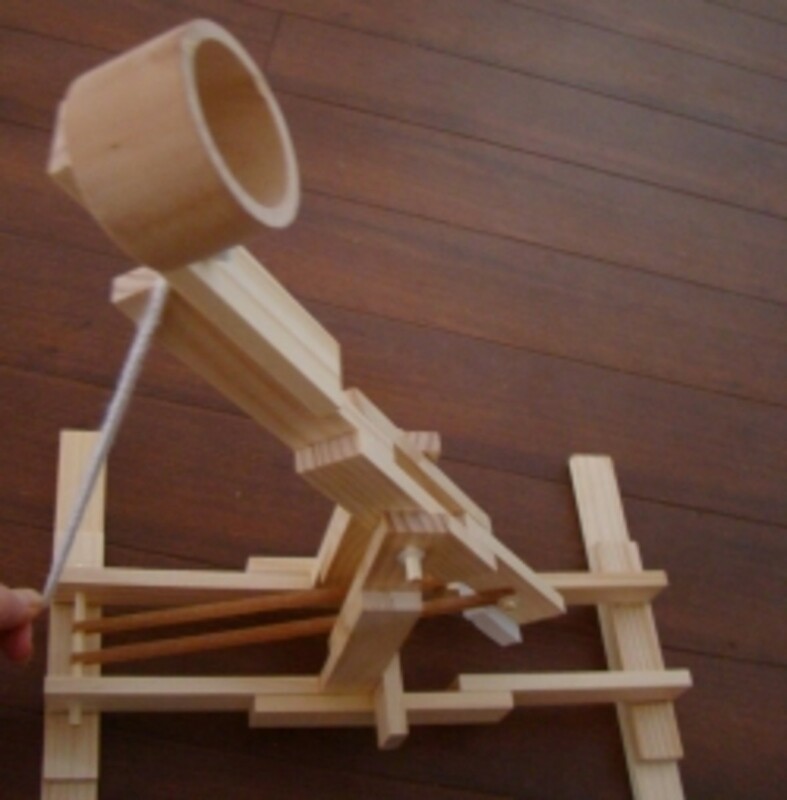 Even after your students/children build what they are supposed to build using the kit, they will enjoy using it afterward to build and discover on their own. Have you ever been on a ferris wheel? Yes, I went as a child. I go on them whenever I can. Yes. I've even been on some of the famous ones like the London Eye or Singapore Flyer. No way! Those are way too scary and dangerous. Plus, I'm, umm, afraid of heights. I'm hoping to go on one someday. What Is Your Favorite Form of the Wheel and Axle? - Or just leave me a note. I love getting feedback from you! I'm so happy you found my lesson to be of help! It looks like you all had a wonderful time learning about water! 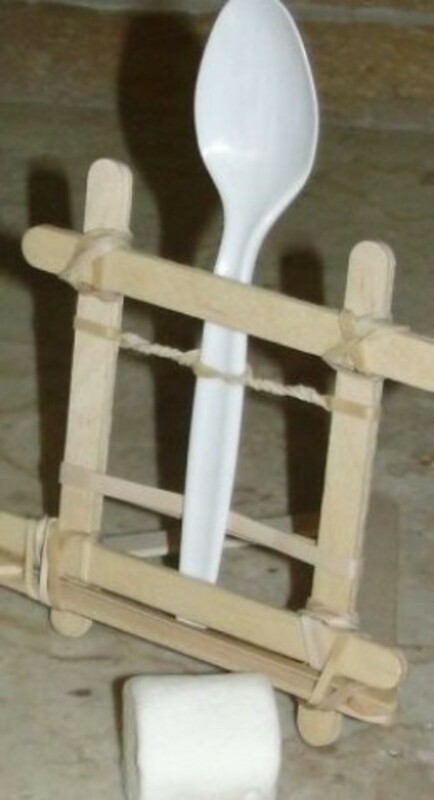 I loved your plastic spoon water wheel. It looked like something my kids would love to play with all summer long! Great! I am so happy you have found my lessons to be helpful! This is extremely helpful, thank you for posting. Your students are fortunate to have a teacher who puts so much into the lessons and thinks about what is going to get them engaged in the learning. 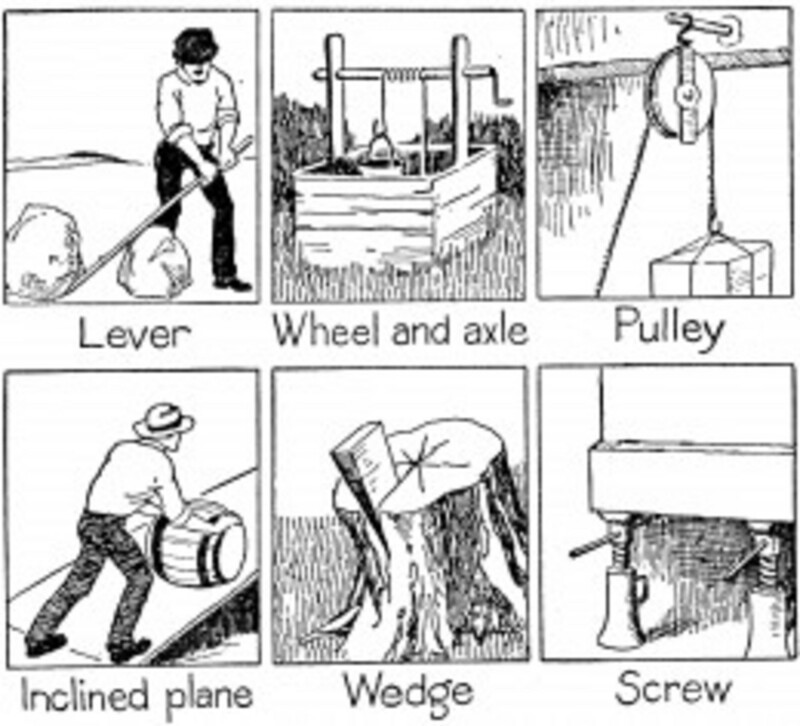 I'm teaching a simple machines unit for 6 weeks and have found 4 of your lessons here really useful. This is a great lesson plan. An interesting and enjoyable lense. Nice lens! I think it points out good thoughts. Your lens is really interesting. Awesome lesson idea! Blessed by a SquidAngel! What a unique page that's full of cool stuff. I love making things with my hands- this page shows some very amusing things kids can make with their moms! I was delighted to read about them!